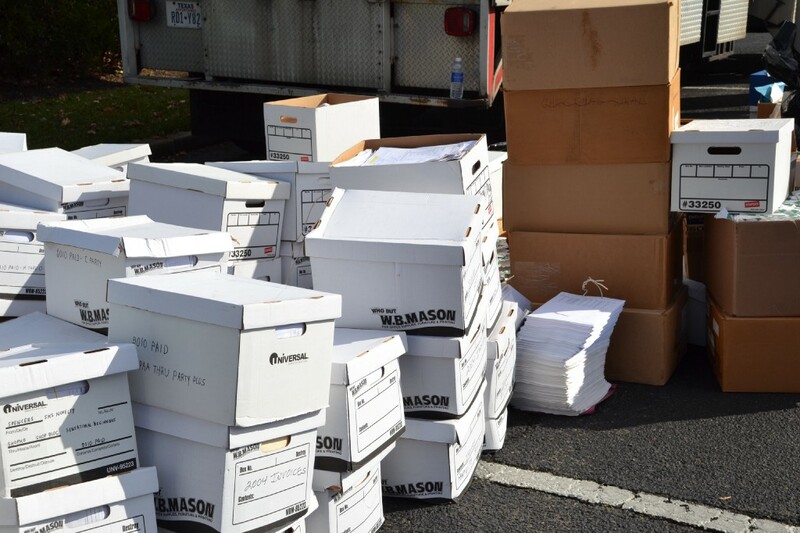 Residents can have up to four boxes of documents shredded at the Navy Federal Credit Union on Route 38 in Cherry Hill. On May 13, Navy Federal Credit Union in Cherry Hill will join other branches around the country for the first Navy SHRED-earal event off the year. The event will take place from 9 a.m. to 1 p.m. and is free to attend. The event is an effort to help credit union members and other in the community shred their sensitive documents. Anyone is welcome to bring up to four 12-inch by 24-inch boxes of paper and documents to the Cherry Hill Navy Federal Credit Union branch for disposal. Items that can be shredded include bills, checking account statements and other financial documents. Community members are advised to arrive early. Shredding will end once the trucks are full. For more information, visit www.navyfederal.org/shred.